This Mother’s Day, surprise your mom with tickets to “Mamma Mia”! We’re giving away a pair of tickets to the international tour coming to Manila in September. 2. Set your Instagram account to public so we can see your entry. 3. Post a picture of how you celebrated Mother’s Day, and share your favorite story about your mom. 4. Tag @theaterfansmnl and @concertusmanila and use the hashtags #TFMxMammaMia and #MammaMiaManila. 5. Send us a Facebook message with a screenshot of your entry, your contact number, and your email address. 6. Team TFM will choose the winner and will win a pair of orchestra tickets to the October 3 show at The Theatre at Solaire. Send your entries until midnight on Monday (May 14) and we’ll announce the winner at noon the next day (May 15). 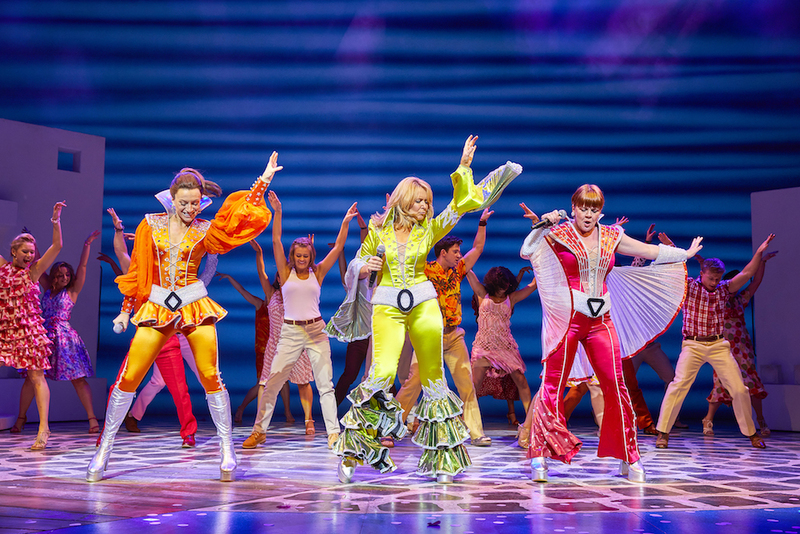 From the vision of producer Judy Craymer, ‘Mamma Mia!’ uses popular songs from Swedish pop group Abba (e.g. ‘Dancing Queen’, ‘Take A Chance on Me’, ‘Mamma Mia’) to tell a story about love, friendship, and family. The musical centers around Sophie and her search for the identity of her real father, but also poignantly highlights the love between her and her mother. The international tour is produced by Judy Craymer, Richard East, and Björn Ulvaeus for Littlestar in association with Universal, Stage Entertainment, and NGM. Featuring a cast from the UK, Lucy May Barker will star as Sophie Turner and Shona White will star as Donna Sheridan. It is presented in Manila by Lunchbox Theatrical Productions, Ticketworld, and Concertus Manila. Previous 'Frozen: The Broadway Musical' Cast Album Now on Spotify!